Latest UC Browser 8 is considered to be the most powerful and fastest browser these days. With more than 1,000,000,000+ downloads around the world and 200,000,000+ Users, this browser has become a real revolution to people who use mobile browsers more frequently. Every month over 100,00,000,000+ Page-views are registered by millions of users. You will experience a super fast browsing from your mobile, no matter if you are using Android, Symbian, Java, Blackberry, iPhone and WM(PPC/SP). The previous versions UC Browser 7.7 and UC Browser 7.9 are very popular downloads. The earlier versions were not supporting to some of the above mentioned platforms. But now you can download any platform browser for your mobile. 1) Compression Technology : The advance compression technology can reduce data costs up to 85% and makes your mobile surfing cheaper. By this way, you can save money and time. 2) Stable Network : The unique free link technology will make a wireless network and be stable for much longer. 3) Powerful Search : UC Browser is embedded with various other popular search engines and meet them to you searching needs. It can find the most relevant data in less time. 4) Multi-tabs : The multi tab feature will allow you to switch between pages and giving you a better browsing experience. 5) Site Navigation : You can find hundreds of popular sites categoriesed in the navigation bar, all you have to do is just click the one which you want to. 6) Download Manager : An intelligent download manager which will support resuming and multithreaded downloads. 7) Optimization : UC browser will optimize the browser on different platforms to provide best browsing experience. 8 ) Pre-load : With this feature, you no need to wait longer for sites to load. This super fast feature will improve your browsing speed tremendously. 9) Privacy : You can manage your account by making the logins easy and supporting cookies. 10) Bookmark and History : Get instant access to your favorite web sites with new bookmarks feature. Also the browsing history is very easy to access. 11) URL auto-completion : When ever you enter any address in your address bar, the URL auto completion will enter the site address automatically and make your work easy. This effortless feature is very useful when you are a power user. 12) View mode : You can zoom into any site you want with the Zoom mode and Adaptive mode. They perfectly meet your preferences and give you more viewing chances for web sites which are hard to navigate. 13) Save and Share : You can save the web pages and images and share them directly via Bluetooth or SMS. 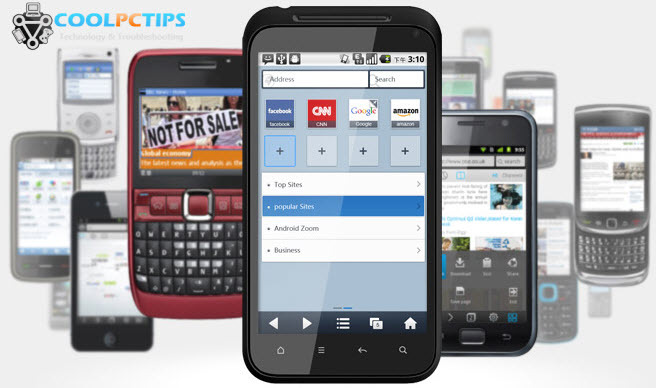 14) File Manager : UC Browser will allow you to open, delete and share your files via Bluetooth. 15) Night Mode : This unique feature will allow you to surf night with less light and protect your eyes in dark. Compared to the previous browser releases, this time the latest UC Browser 8 has introduced few advance features which are mentioned above. These new options which will make your browsing easy and fast. Latest UC Browser 8 offers intelligent and convenient browsing features which are very powerful patent system. These above mentioned features are not available in all the browsers which we use these days. The best thing is that, The latest UC Browser 8 is available for any phone in the world you use. No matter it is an old model or a new one. You can always download it from their official site and enjoy the access to unlimited browsing experience. If you find any difficulty in installing the browser, please let us know. We will try to fix it. Please mention you queries and suggestions in form of comments below. We will keep you updated when the new and latest UC browser is ready to hit the market. Where i can find call/sms feature while using uc browser 8? Pls create ucbrowser that can store, save,retieve & restore contacts on phone and/or sim cards. I just upgraded from ver 7.x to 8.0… It looks better but I CAN’T FIND THE BROWSING HISTORY ! Any help?